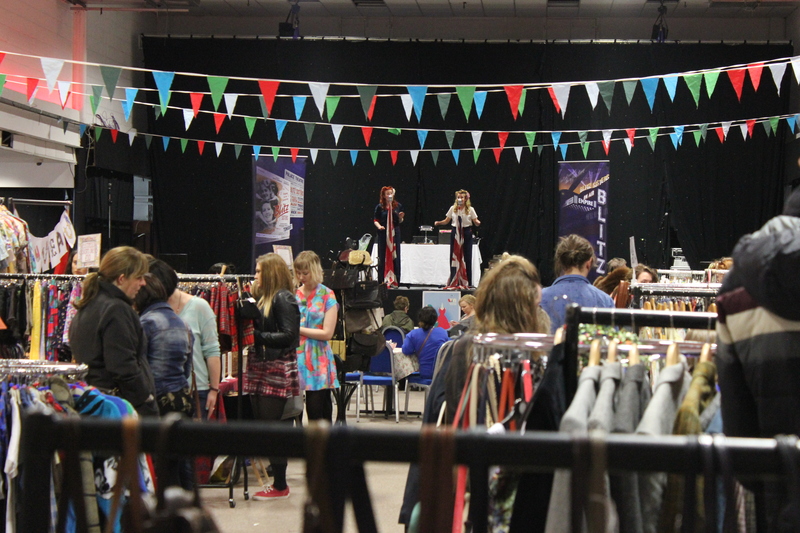 Judy’s Vintage Fair brings Vintage Nation back to Edinburgh. 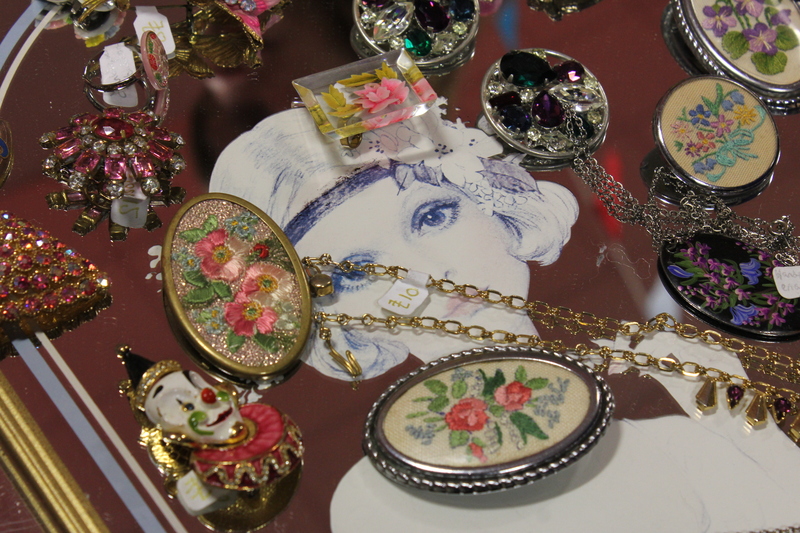 This Sunday we took a wee trip to the Corn Exchange to visit the annual retro-fest that is Vintage Nation. Organised by the lovely folks behind Judy’s Vintage Fair, and featuring the cream of Scotland’s vintage crop, I knew we would be in for a treat. 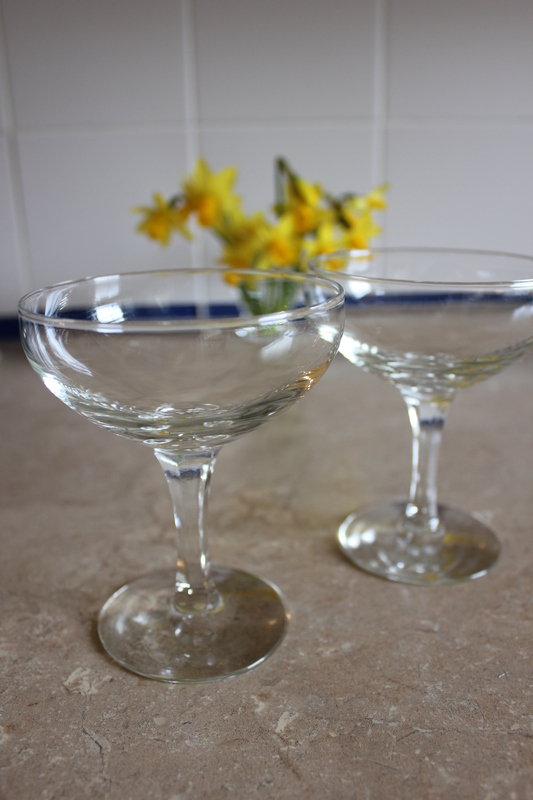 Many of my vintage treasures are well-loved Judy’s finds – I definitely find it difficult to come away empty-handed – and my love of Judy’s has been keenly documented on this blog (seriously, it could have its own category). I even guest blogged for the company a few times last year (see here, here and here!). Vintage Nation takes things to another level though, and after thoroughly enjoying the event last October I knew the Spring edition would be unmissable. It certainly lived up to our expectations and more, as the lofty halls of Edinburgh’s Corn Exchange were transformed into a retro-lover’s paradise; filled with shoppers dressed up to the nines in their vintage Sunday best browsing amidst the colourful bunting and rails of retro clothing and fabulous furniture for bargains, it was almost like stepping back in time. 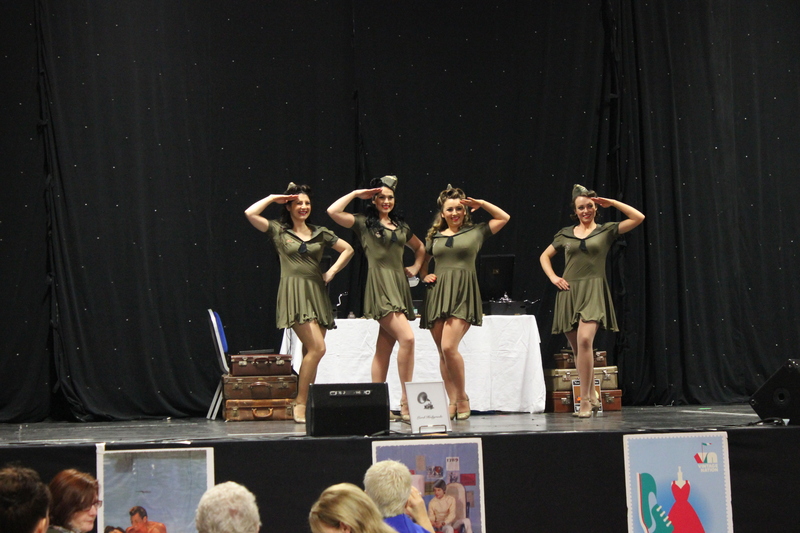 With a range of vintage-themed entertainment, including tunes from resident Gramophone DJ Lord Holyrude to shop and dance along to, performances by ’40s singing duo the Blitz Sisters and show-stopping dance routines from the Kennedy Cupcakes, the atmosphere was buzzing – a truly fabulous way to spend a Sunday afternoon. 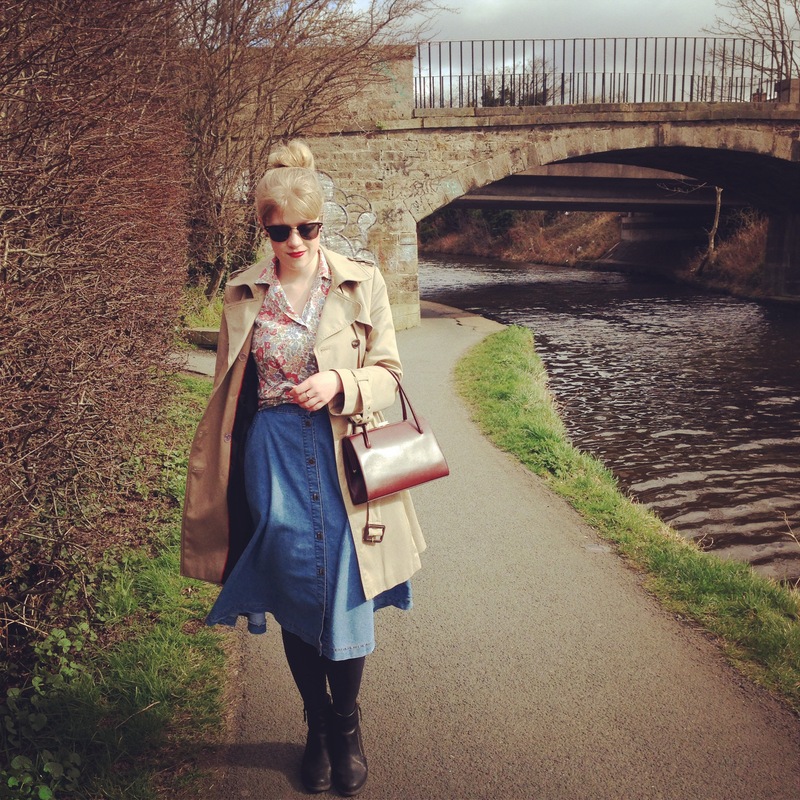 Suitably in the vintage mood, a spot of retail therapy was firmly on my mind. 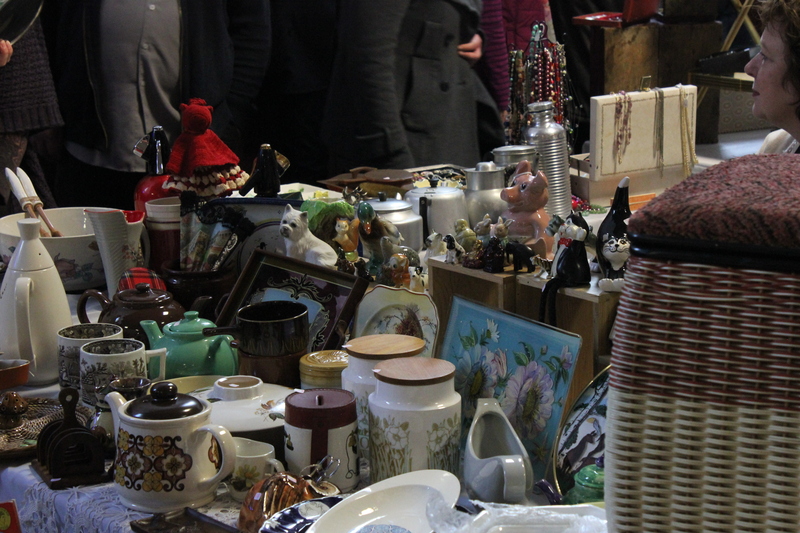 First to catch my eye were the fabulous vintage homewares, stationed temptingly at the entrance to the fair. The bright and spacious location was perfect for showcasing bigger items, including some stunning pieces of mid-century furniture. 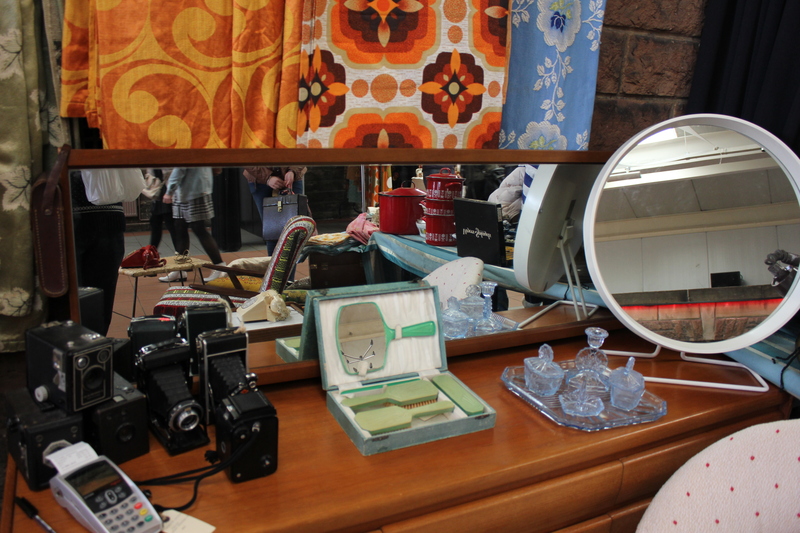 It was the perfect dose of retro interiors inspiration as the sellers had put real thought into themed displays and enticing visual merchandising. 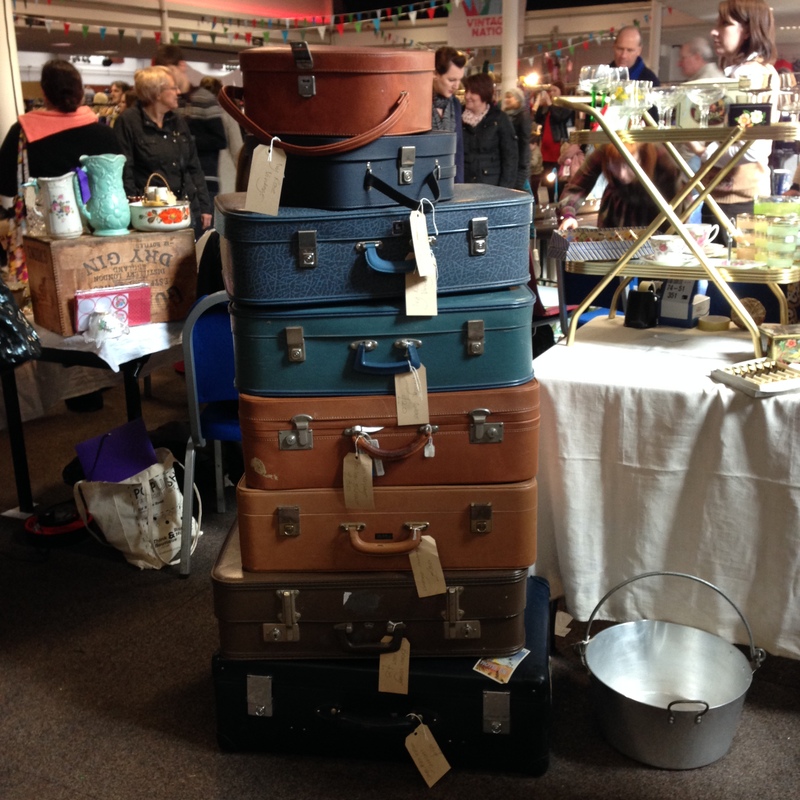 How impressive is that vintage suitcase stack above? Something mine can aspire to! Judy’s regular Mabel on the Table always have a gorgeous selection of retro kitchen bits and bobs, and I had my eye on the most beautiful red polka dot tea set, pictured above. Sadly I wasn’t quite quick enough off the mark and another lucky shopper snapped it up. 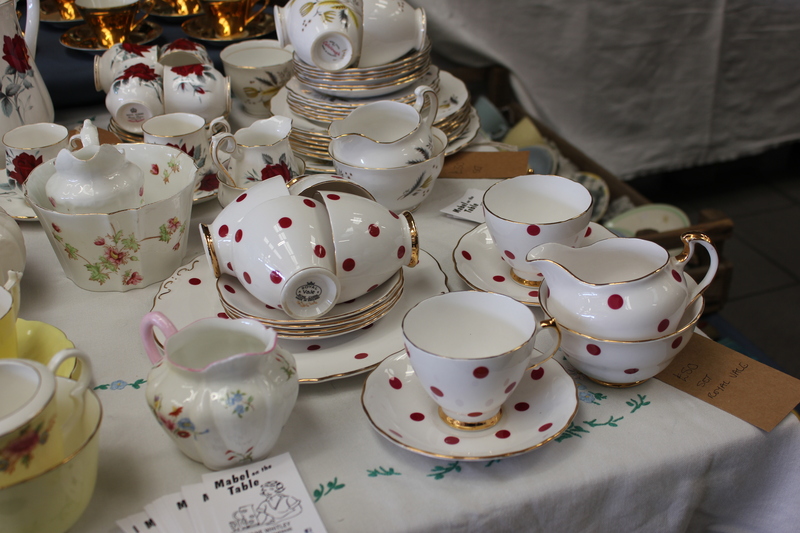 The hunt for a vintage polka dot tea set starts now! 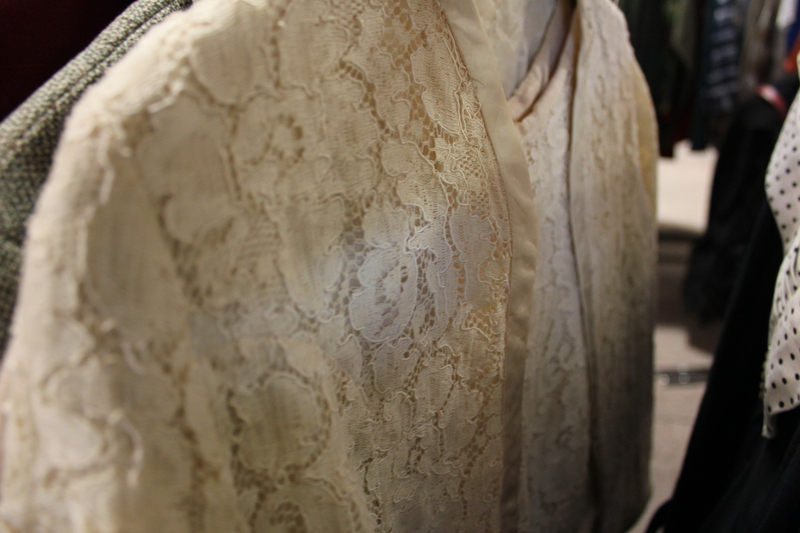 It was the clothes that were the real highlight for me though, as is often the case at Judy’s thanks to the amazing selection of sellers with a real commitment to their vintage garbs. There was a great edit of high quality retro pieces from the 1900s onwards – no moth-eaten knitwear or high street dresses masquerading as the real deal here. 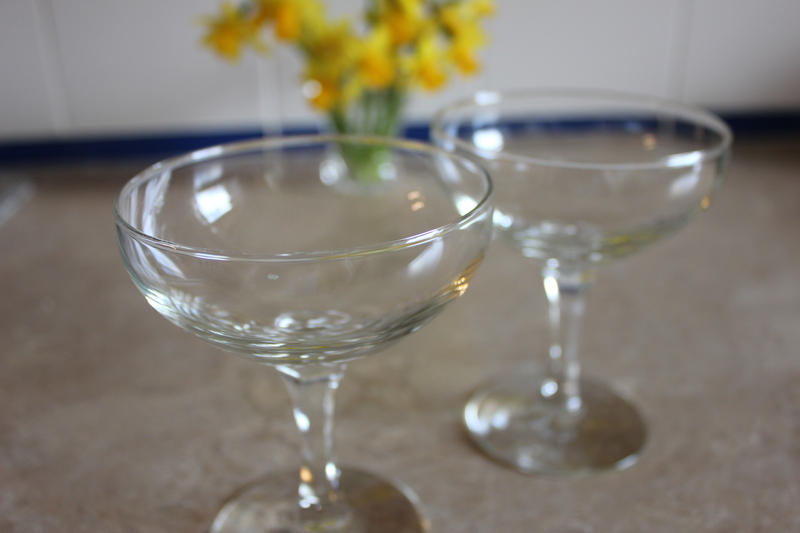 It was an especially cracking selection this time – luckily for us, I think the sellers had been saving up some of their best bits for the occasion. 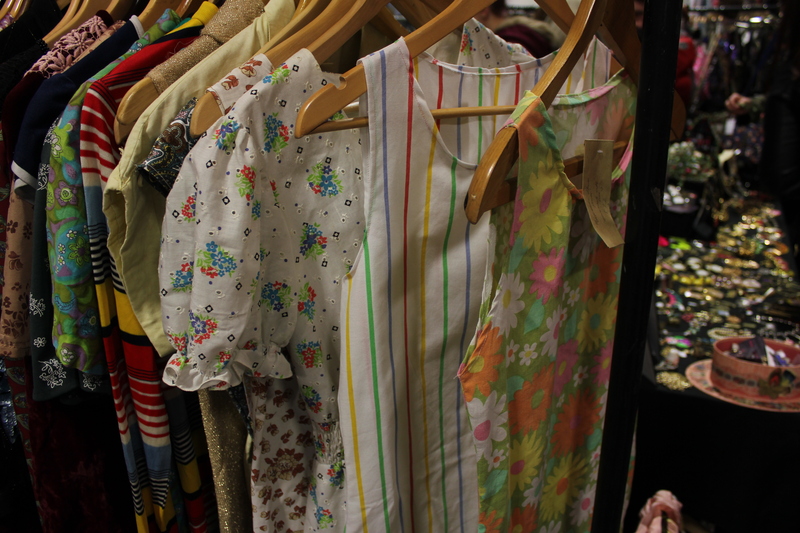 I was on the hunt for a pretty, summery frock or two, and was completely spoilt for choice, from multicoloured ’60s striped sundresses to flirty ’50s floral numbers. Happily for my bank balance, there were many bargains to be had and I even managed to pluck up the courage to haggle a little (more on that later!). 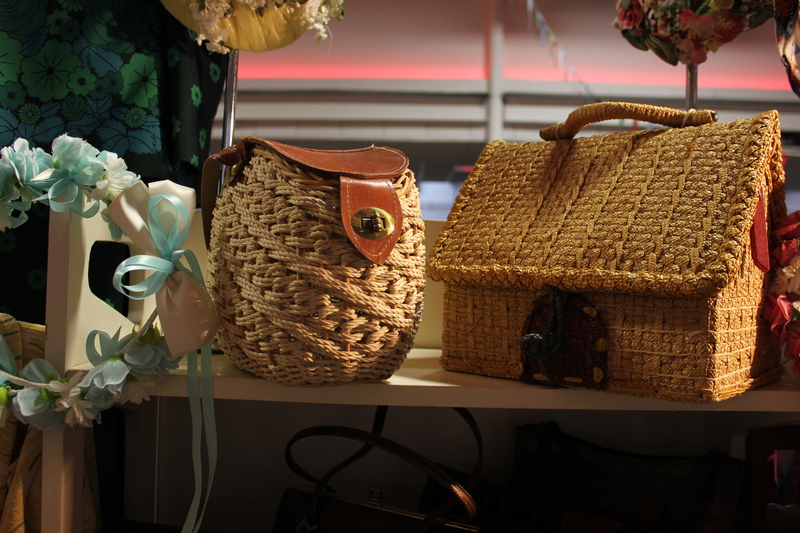 There was a wonderful selection of accessories too, including ladylike frame bags and numerous baskets of silk scarves. 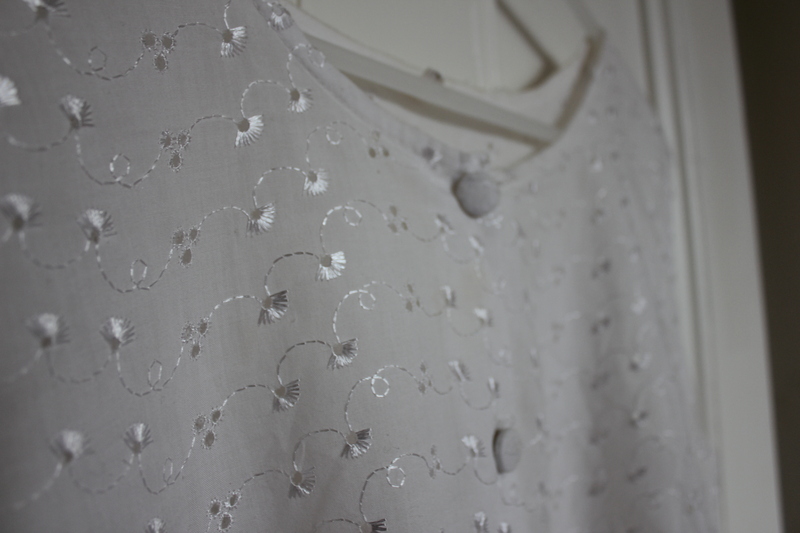 The summery dresses would be the perfect partner for one of those beautiful straw bags above, and a vintage trinket or two – I spotted perfect condition cameos and pretty pearl rings. 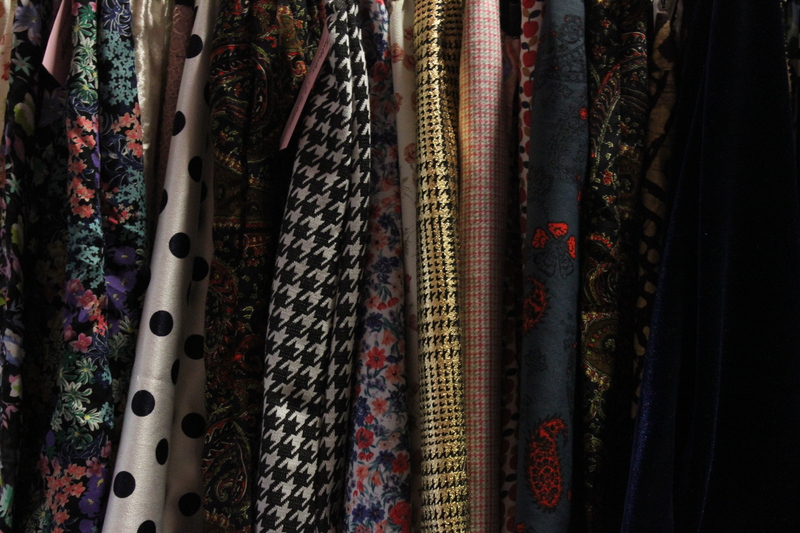 One stall near the front (sadly I missed its name) was filled with vintage gems and attracted a constant stream of shoppers; Vintage Nation seemed to bring out everyone’s inner magpie tendencies. 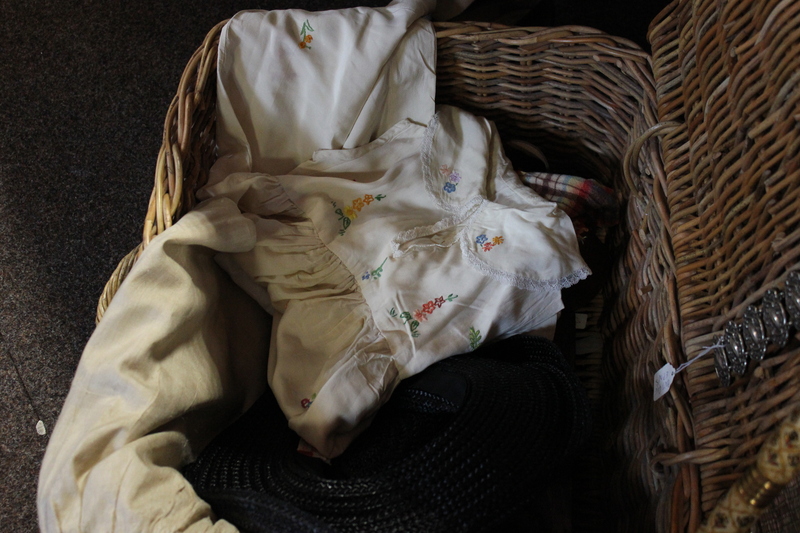 There was even a smattering of childrenswear as well – just look at that adorable wee Peter Pan collar dress in the picnic basket above. 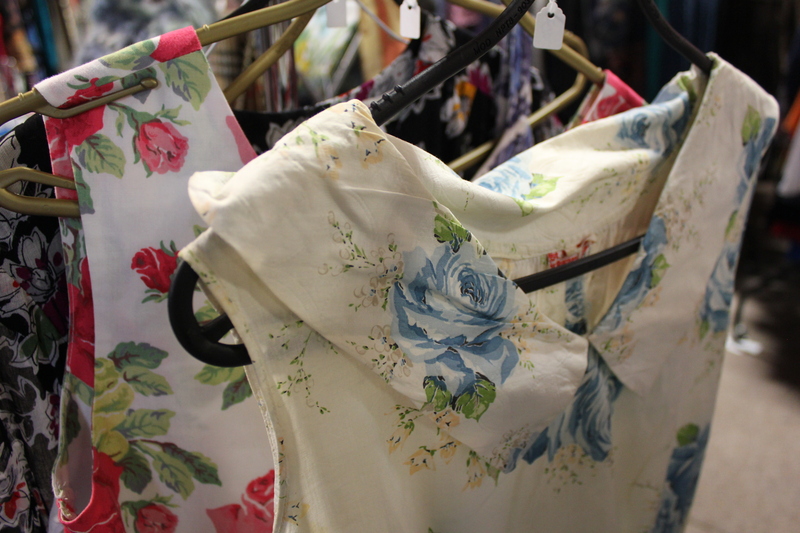 There wasn’t such a big selection of menswear as last time round I thought, although I wasn’t on the hunt for anything in particular (for a present or anything), which meant all the more girly vintage for me! 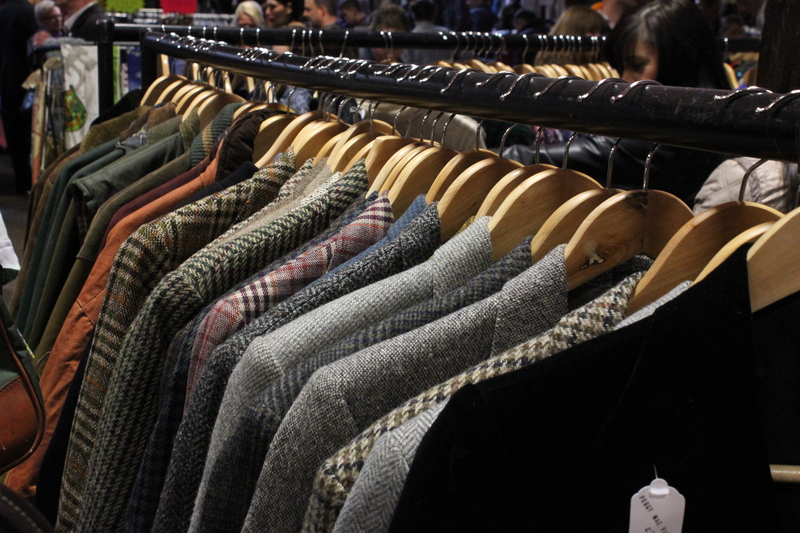 What they did have was lovely though – the rail pictured above filled with beautiful tweed jackets caught my eye especially (if only they’d fit me!). 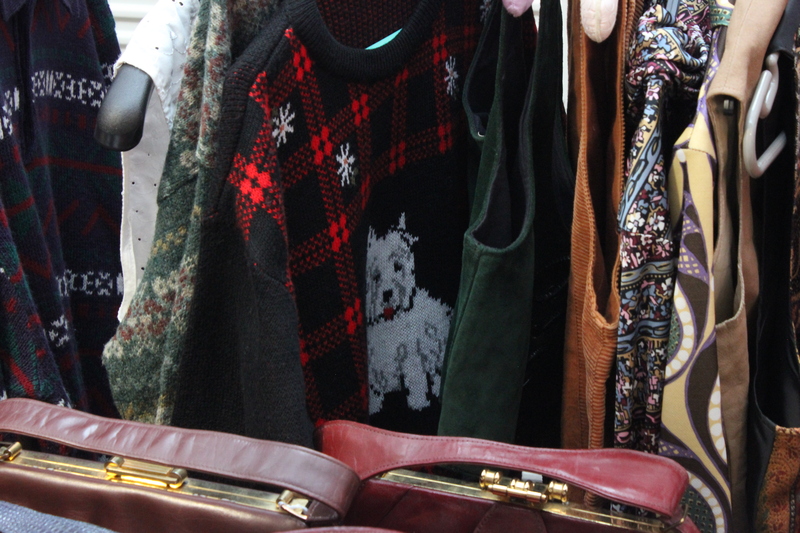 A witty knit or two didn’t go amiss either – just look at that Scottie dog jumper – and other heritage-style pieces such as corduroy waistcoats were perfectly dapper for the retro gent. After doing our browsing circuit a couple more times to be sure we hadn’t missed any bargains, I left content with my purchases. 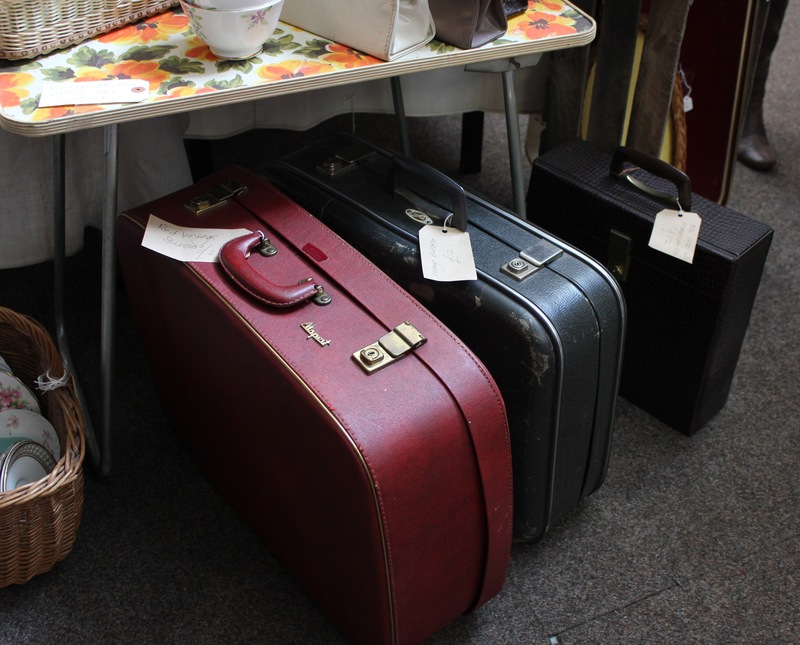 One of the lovely sellers said I looked like I had stepped straight out of the 1950s – a very high compliment indeed in my book! 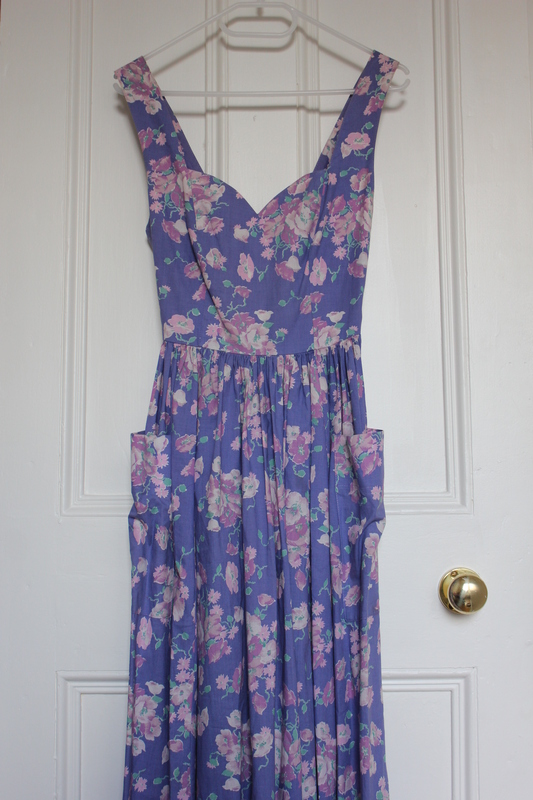 I know – another frock to add to my vintage Laura Ashley collection, but I couldn’t resist! Everything about it was so perfect that I just couldn’t leave it behind: the feminine colour palette, pretty print, sweetheart neckline and those gorgeous pockets. I love the back detail as well. I managed to haggle it down to £20 as there was a wee hole in the back where a button has come off. Nothing I can’t fix though! I can’t wait to style it up with a pastel cardi, my Clarks Originals sandals and my vintage straw basket when the weather’s finally warm enough. 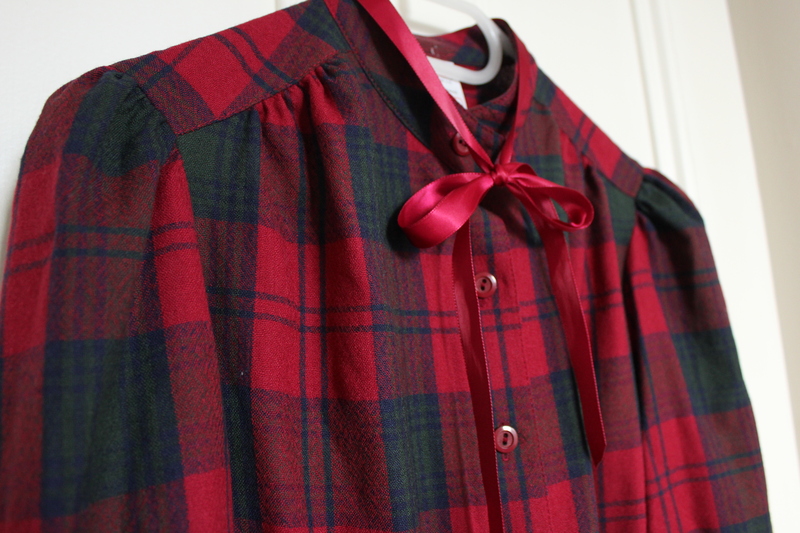 This tartan wool dress will probably have to wait a wee bit longer to make its first appearance, but I’m sure it will be worth the wait! 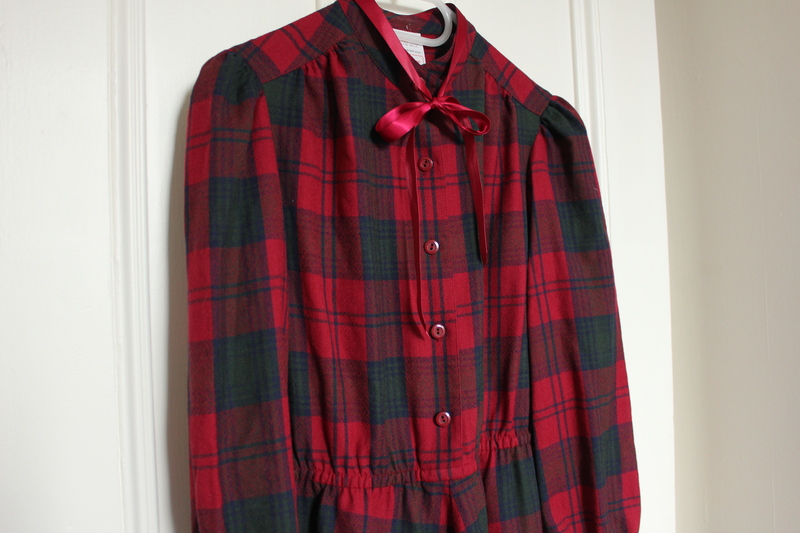 It’s a vintage M&S number and I loved the tartan pattern, the weighty fabric (it’s 100% wool) and feminine cut with its full skirt. It’s great quality and I managed to haggle it down to £15! I didn’t even notice the wee ribbon until I’d bought it, but it’s a cute addition I think. I can’t wait to style it with a wee collar peeping out next Autumn. 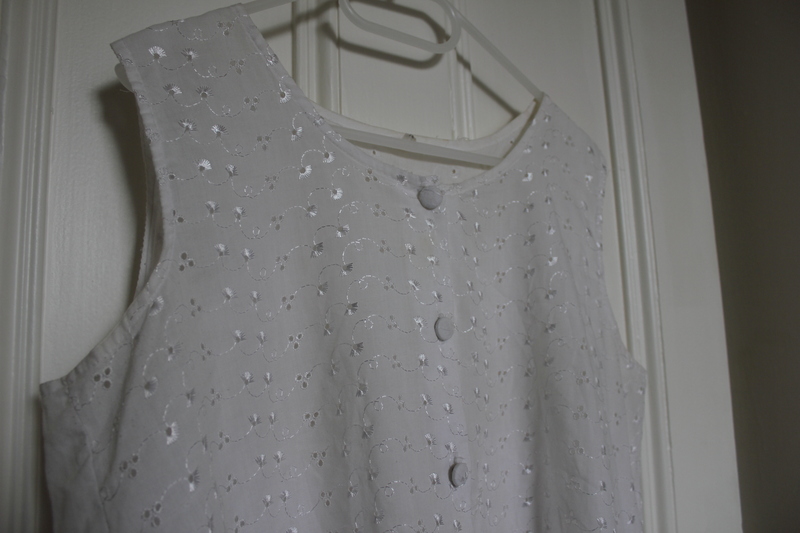 My last clothing purchase was this pretty Broderie Anglaise top with cute covered buttons. 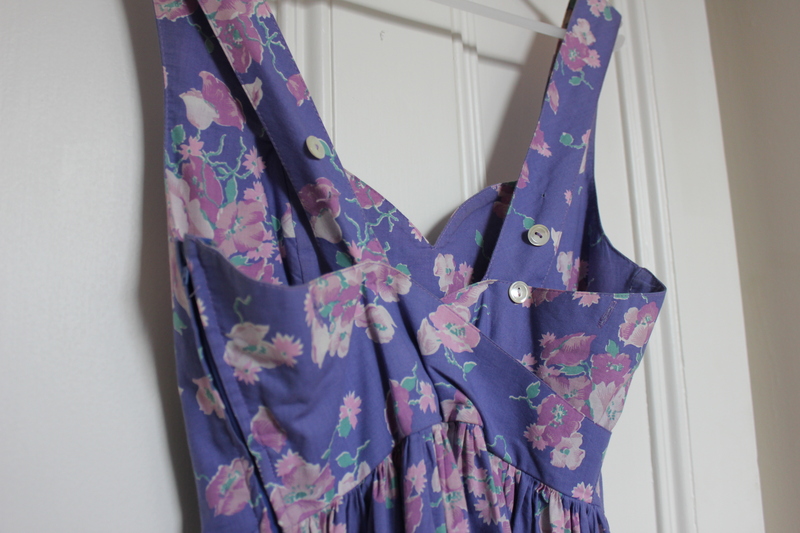 It’s a wee bit on the big side but for just £6 I couldn’t say no as it was so lovely – I think it will be perfect tucked into a high waisted skirt or shorts in the Summer anyway; the fabric always fills me with childhood summertime nostalgia. 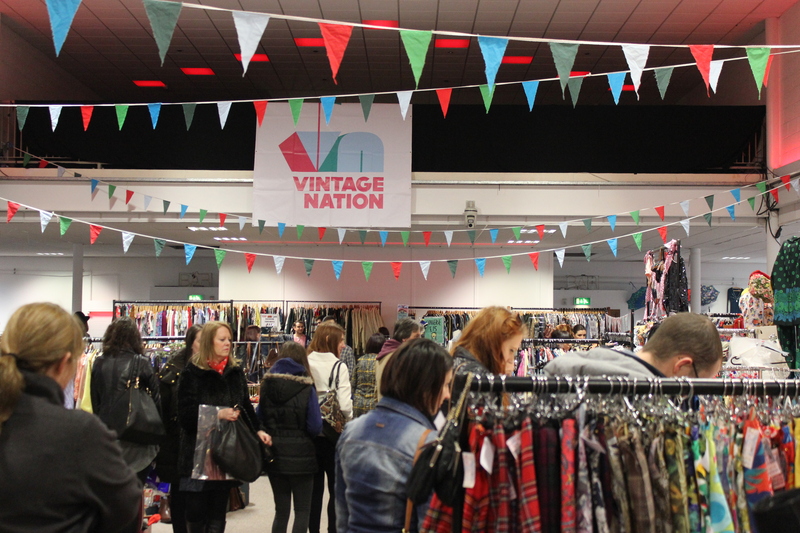 Did you go to Vintage Nation? Any recent thrifting finds to share?